There are sixty-seven counties in the state of Florida. In 1821, there were only two Counties in Florida: Escambia to the west and St. Johns to the east. From these two Counties were formed 67 today. Its last county was created in 1925 with the formation of Gilchrist County from a segment of Alachua County. Indian River County is a county located in the Treasure Coast region in the state of Florida. Based on the 2010 census, the population was 138,028. Indian River County was created on May 30, 1925 from St. Lucie County. 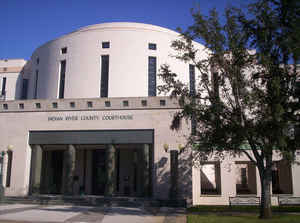 The county seat is Vero Beach, Florida. This county is named for the Indian River Lagoon, which flows through the county. Indian River county is Florida's 7th richest county and in 2000 was the 87th richest county in the US by per capita income. Indian River County comprises the Sebastian-Vero Beach, FL Metropolitan Statistical Area, which is included in the Miami-Fort Lauderdale-Port St. Lucie, FL Combined Statistical Area. This county is named for the Indian River Lagoon, which flows through the county. Prior to 1821 the area of Indian River County was part of the Spanish colony of East Florida. In 1822 this area became part of St. Johns County, in 1824 it became part of Mosquito County (original name of Orange County), and in 1844 its portion of Mosquito County became part of newly created St. Lucia County. In 1855 St. Lucia County was renamed Brevard County. St. Lucie County was formed from the southern portion of Brevard County; in 1925 Indian River County was formed from the northern portion of St. Lucie County. 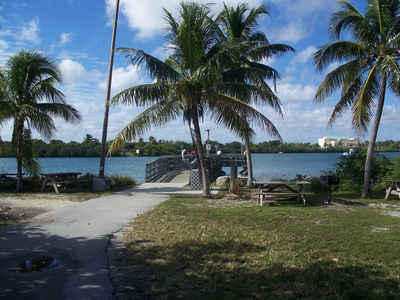 It was named for the Indian River Lagoon, which runs through the eastern portion of the county. As reported by the Census Bureau, the county has a total area of 617 square miles (1,598 km2), of which, 503 square miles (1,303 km2) of it is land and 114 square miles (294 km2) of it is water, much of it in the Atlantic Ocean. The total area is 18.43% water. 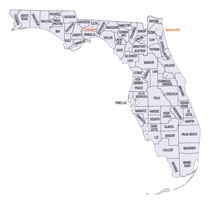 Indian River county is located in southeast Florida. Pelican Island National Wildlife Refuge and part of the Archie Carr National Wildlife Refuge are located in Indian River county.